February 11 – With big decisions coming up next month on FIFA’s proposed expansion of the international football calendar and concern around the pressures they will bring, an analysis of player injuries since Russia 2018 shows Premier League clubs have seen a 44% increase in injuries to players who played in Russia. The research from insurance broker JLT Specialty found that players who participated in the 2018 World Cup in Russia have been injured 112 times so far in 2018-19, compared to 78 at this point in 2017/18. The average number of days out per injury has also risen from 17 to 21 days. 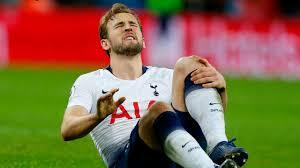 JLT calculates that the cost of injuries to Premier League clubs so far is more than £130 million – more than £70 million of that being incurred by the top six clubs. JLT says that at the current injury rate the figures will easily beat last year’s season-end total of £213 million. The total number of Premier League injuries has also increased from this point last season to 478, the highest of any season on record since the 2014/15 season. Manchester City have been one of the hardest hit. Providing 16 players to national teams for Russia 2018, the club have now suffered 27 injuries costing 617 combined days lost in training and matches. Though this is significantly less than Spurs who have lost 931 days. In comparispn Liverpool have lost just 128 days.